Finally, The Apple's iOS 4 arrives Monday for proud owners of the iPhone 3GS and 3rd Generation iPod Touch, delivering a bevy of new features worth the upgrade. Apple has not specified what time it will be releasing iOS 4, but if last year's 3.0 release is anything to go by, expect the new operating system to hit the tubes sometime after 1 p.m. Eastern/10 a.m. Pacific Time. Patience is also a must, as it is also a virtue, for millions of devices are eligible for the free upgrade, putting a lot of pressure of Apple's servers. Before we indulge into the awesome-goodies within iOS 4, a sad reminder for original iPhone and iPod Touch users: you won't be able to upgrade to iOS 4, as Apple says the hardware on these devices is not supported. iPhone 3G owners will get the update, some of the features below won't be available, such as multitasking. Also, if you have an iPad (which runs iOS 3.2), iOS 4 will arrive for you only in September. On the reverse, many iPad-only features by now have been ported into iOS 4 for. 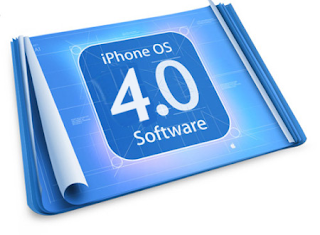 So here are the 10 cool new and useful features in iOS 4.Let's go take a look! As simple as it sounds, this feature was missing on the iPhone. The folders feature in iOS 4 will help you declutter your home screen, letting you compile under a single location up to 12 applications. To access folders, enter customize mode (tap on an icon until all icons start jiggling), slide any icon on to another and a new folder is created. You can rename the folder to your liking, but iOS 4 will also suggest a folder name if applications grouped in a folder belong to the same category (like games, utilities, travel). iOS 4 lets you set a wallpaper not only for the lock screen (as previously available), but also for the home screen. Like on the iPad, you will have the option to select a different image for the lock and home screen, or you can use the same image throughout. There is no way to set a wallpaper for each of your home screens, though. 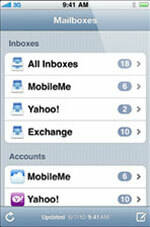 The first thing you will notice in the Mail app in iOS 4 is the unified inbox. Users will multiple e-mail accounts have been longing for this feature for a while, and Apple finally delivered. There is also support for threaded messages, so you can easily follow up on conversations (each discussion has a single entry that you can tap on and expand it). A big boon for business users will also be support for multiple Exchange account, as only one per device was available by now. 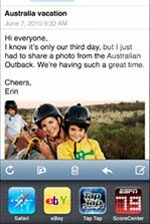 Alongside the predictive typing on the iPhone, spelling corrections were missing, but this issue is resolved with iOS 4. Misspelled words will be underlines with a jagged red line, and when tapped correction suggestions will be displayed. This feature works system-wide, including in Mail and Notes. You can search through SMS messages in iOS 4, just like you do with e-mails in the Mail app. Just flick the top of the main messages screen and a search bar is revealed. A character count while typing a message is also displayed, so you can keep tabs on your SMS allowance. iOS 4 bring a few enhancement to the iPod app as well. You will be able to see a new music control bar at the bottom of the screen when listening to music in the background. There is also the capability to create and edit playlists on your iPhone with iOS 4, which get synced with iTunes when connected to your computer. The iPhone screen won't annoyingly rotate any more when you are laying in bed reading on a side. The new OS brings a software orientation lock feature, which you can access by double-tapping the Home button and then swipe to the left (the same way you access the iPod controls). 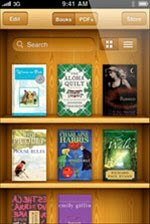 The iBooks app is coming to your iPhone with iOS 4. You will be able to sync your existing iBooks library (books purchased from the iPad) and also add PDF files to it. A closer look into the application reveals that the iBooks has been developed to keep in sync with your iPad (and vice versa) where you left off reading a book. You will have to download iBooks manually from the App store. iOS 4 now enables you to use any compatible Bluetooth keyboard and type away long messages. Multitasking is the biggest feature in iOS 4. First off, developers will have to update their apps to be compatible with iOS 4 multitasking. Theoretically, you will be able to use Pandora in the background while playing a game, or receive a Skype call while reading your email. To access your open apps, double-tap the Home button and icons of the application running in the background will be displayed along the bottom of the screen. Tap on the app you want to switch to and you are in. Alongside multitasking, Wi-Fi will no longer disconnect when your iPhone is locked, so you can receive calls and notifications from Wi-Fi only apps (like Skype) as long as you have a connection available. For more interesting posts on iPhone, stay tuned to 'SwayamDas2010'.